(Oregon Coast) – Two major updates with recreation along the Oregon coast have been handed down by state officials. There is one last fishing day for coho today and razor clamming has been temporarily shut down on one part of the southern coast. 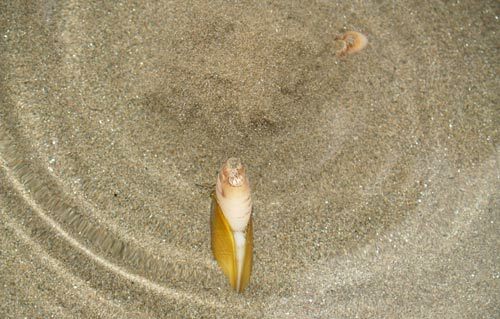 (Razor clamming photo above courtesy Seaside Aquarium). 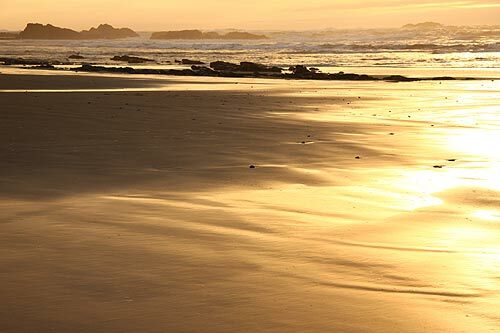 Last week, Oregon Department of Agriculture and the Oregon Department of Fish and Wildlife announced that part of the southern Oregon coast would be closed to razor clam harvesting. The area from the Umpqua River to the California border showed higher than acceptable levels of the marine biotoxin domoic acid when samples were taken. 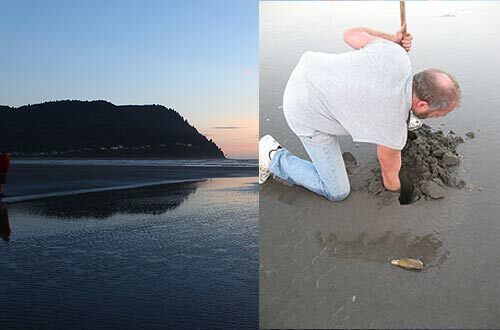 Everything north of there through Tillamook Head remains open to razor clamming: the area from Seaside to the Columbia River is still closed to the activity due to the annual conservation closure. 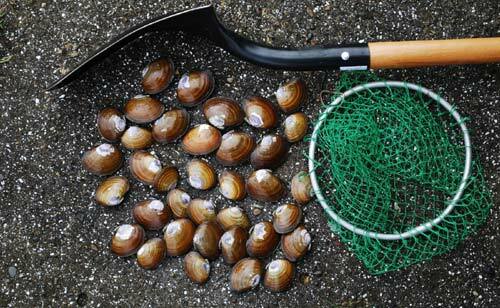 Mussel harvesting is currently open from the Columbia River to the Coquille River. 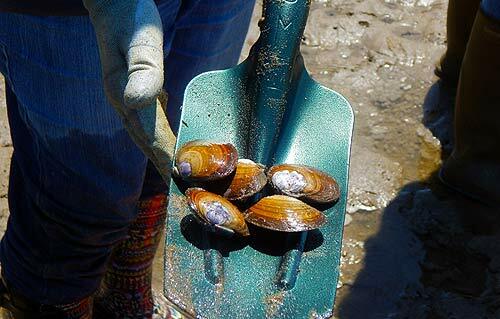 State officials will continue to test for shellfish toxins twice per month, as tides permit. Reopening of an area requires two consecutive tests in the safe range. For more information, call ODA’s shellfish safety information hotline at (800) 448-2474, the Food Safety Division at (503) 986-4720 or visit the ODA shellfish closures webpage. On the central Oregon coast, the ocean waters from Cape Falcon to Humbug Mt. will be open for one last day of coho salmon fishing on Friday, September 21. The non selective coho season ends on this fifth day. The two first two Friday and Saturday open periods had anglers averaging more than one fish for every two anglers with a total catch of 5,422 coho. This makes a revised quota of 7,600 coho and a total of 2,170 of the favorite fish still available for harvesting. According to Eric Schindler, ODFW ocean salmon manager, it will only be enough for one day of fishing and not two.